You know you have a bit of an obsession with a scent when you want to smell like it from head to toe — armpits included. 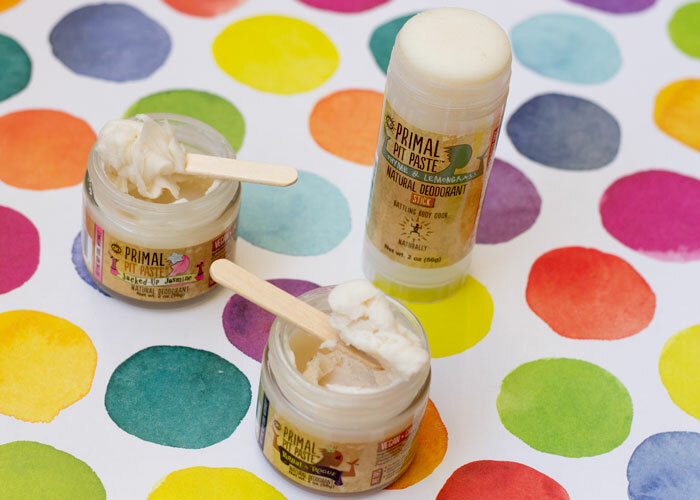 As part of my search for the best of the best natural deodorants on the market, Primal Pit Paste offered to put its collection of de-stinking agents to the test. When I saw they formulated a scent called “Jacked-up Jasmine,” my ears perked and I got a little sweaty thinking about the fact that I could seriously smell like jasmine even in places where flowers go to die. Primal Pit Paste sent me two jars of creamy, cruelty-free natural deodorant to test as well as a sample of a similar deodorant formulation packaged in a convenient stick applicator. As those of you who are natural deodorant veterans know, it’s a bit difficult to find a truly clean deodorant that’s available in stick form. While Primal Pit Paste’s stick applicator is by no means perfect — the deodorant cream is still rough to apply and has to be massaged in just a bit to avoid bits of white deodorant on your clothes — it’s a step in the right direction for those of us who aren’t really in to dipping our fingers into pit paste every day. One trick for applying the stick deodorant almost flawlessly, though, is to give the tip of the deodorant (cap off) a shot of hot air from your hair dryer. This gently melts the shea butter-based formula just a bit and allows it to glide onto your skin a little better (less flaking off). I still have to massage it in a little to ensure there are no clumps, but consider this your natural stick deodorant tip of the day. You’re welcome. I found the jars of Primal Pit Paste more convenient to use — probably because I’m used to this application by now — and because again, my beloved jasmine scent was in jar form. With the jars of Primal Pit Paste, you know the drill: Mix’er up, scoop a bit onto your fingers and rub it into your pretty little pits. I found that the regular strength was just fine for my smelly self, and that Primal Pit Paste caused zero irritation and left me with zero stinky smells when put to the test for several weeks. As you may remember from past reviews, my standard test is a typical 9-5 workday, with deodorant going on at about 8 a.m. and needing to last until closing time. That’s the bare-bones requirement, but truly superior natural deodorants also perform through a vigorous, 85-degree heated Ashtanga yoga practice for 90 minutes. I typically reapply around 5:30 in prep for my 6 p.m. practice, and Primal Pit Paste performed with me during my practice. But I also put it to a couple other tests. One was to wear it throughout my typical 9-5 workday and then go to yoga from 6-7:30 … with no reapplication. A bit of a bold move, as no one wants to be the stinky student in a small studio, but I risked it. For you. You’re welcome. Primal Pit Paste did not let me down. But the biggest test I put it through — just for funsies — was a 90-minute Bikram yoga class (I’ve been doing Bikram on Monday nights because I’m a masochist). For those of you unfamiliar with the practice, it’s also a 90-minute yoga class … but in 105-degree heat and 40 percent humidity. Yeah. Good luck with that one, right? I did reapply Primal Pit Paste in preparation for the class, but it’s true — it got me through several weeks of sweaty, ohmygoshIthinkImaydie Bikram yoga classes smelling like a blooming jasmine. That may be a bit of an exaggeration, but the truth is, I did not smell myself and neither did my coworker, Tonya, who also attends the class. Needless to say, Primal Pit Paste is legit and I would wholeheartedly recommend it to those of you still searching for your one true natural deodorant love. It’s on the repurchase list for sure (because #jasminepits, y’all). 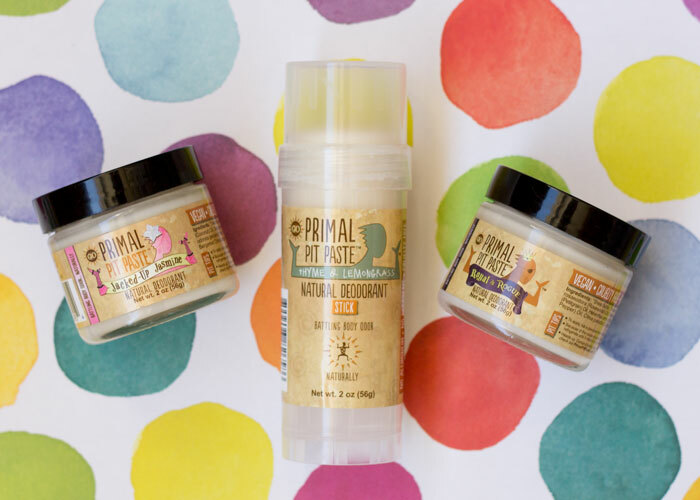 Have you heard of or tried anything from Primal Pit Paste? What do you want your armpits to smell like? Tell me in the comments section!